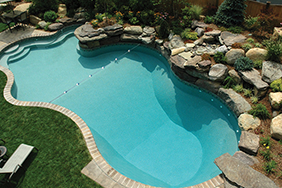 Are you looking for a natural, freeform look to your pool? Perhaps our Lagoon or Mountain Lake is right for you. Maybe you like the look of clean lines and sharp angles. 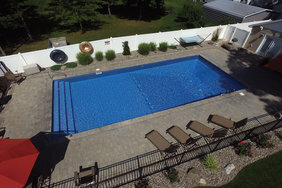 Check out our Grecian, Roman End, Rectangle, or Lazy El pools. Still haven’t put your finger on the “perfect design”? Not a problem. 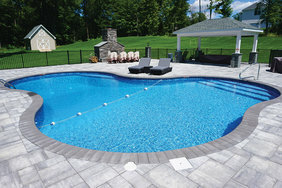 Our vinyl pools are available as custom shapes and sizes. You create your dream design, and we’ll make it a reality. 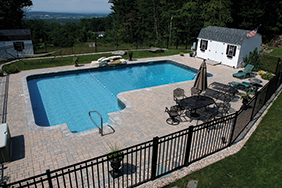 Customizing your pool is easier than ever. 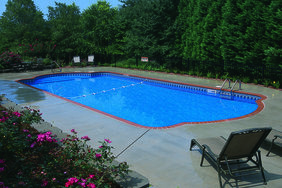 Our vinyl pools can be built with inside swimouts, benches, sundecks, and radius steps. We have an assortment of liner patterns to choose from, enabling you to create “the look” you’ve always dreamed of. 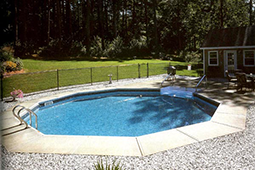 Traditional vinyl lined pools typically have reinforced walls behind the liner. 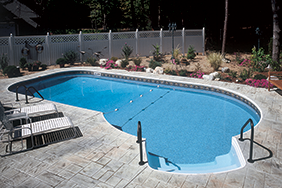 Our vinyl pool walls are made with the strongest galvanized steel panels in the industry. They are triple bent for durability and have a lifetime guarantee. We also offer a resin wall as an alternative. 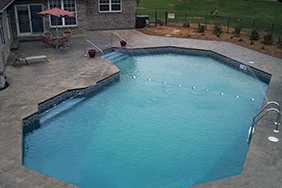 Our liners are made with heavy, durable materials, and the average lifespan is 15+ years. 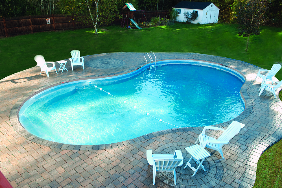 Historically, a vinyl pool was only available in limited shapes and sizes. 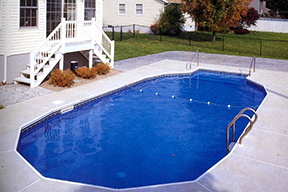 Today, our vinyl pools come in a variety of shapes and sizes. 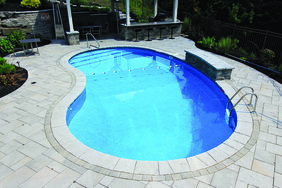 For more information on Vinyl Pools please fill out our Contact Form and a sales representative will be in touch. Or, you can call or visit your local Surfside store.